Squash is a fast-moving sport and is an excellent cardiovascular workout. It is a game that can be played at any age and is easy to learn. 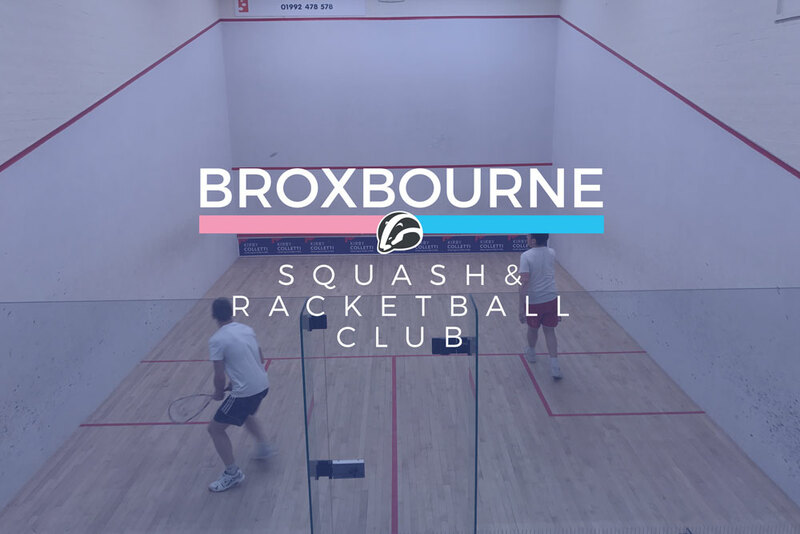 There are many modified game types and various equipment can be used to suit every size and skill level, enabling squash to played as either a leisure or competitive sport. Squash has even been recognised as the number one health and fitness sport. Develops agility – Leaping, spinning, stopping, bending, jumping, sprinting and running are just some of the moves the body has to make in a game of squash. As such, the sport requires and fosters its players to be nimble. Doing these movements conditions squash athletes to be agile in being able to quickly stop, start, and change direction. Squash teaches quickness and equilibrium around the court, especially the power of the first explosive step and challenges speed by forcing you to move quickly while maintaining a strong and balanced position, which is required to hit a ball hard and accurately. Sharpens hand-eye coordination – Squash promotes good hand-eye coordination as repeatedly seeing the ball and adjusting your body and hand so you can hit it back under competitive stress forces the body to hone in on target and destination. The coordinated control of eye movement, hand movement and the processing of what you see to guide one’s reach boosts accuracy and promotes finesse of movement. Since hand-eye coordination tends to decrease when we stop participating in activities that foster this type of coordination, squash is a premier sport to ensure your coordination abilities are well-developed. Compels flexibility – Since the constant movement – particularly movement outside typical range of motion – is so often required in a game of squash, your joints and ligaments are able to stretch, promoting elasticity and blood flow in the body. If you can make a save by covering a good portion of the court with a deep lunge and a stretch of your racquet, you can save yourself energy and decrease your chance of missing the ball. Constantly playing squash will improve your flexibility, ensuring your muscles get the most stretch out of every game. Pinpoints concentration – From the very start of the game, your eyes are sharply fixated on the ball at all times. Focusing where it hits and knowing where and how it will bounce back ensures mental and visual concentration, while your other peripheral vision concentrates on your opponent’s movements in hopes of catching them off guard. Imposes strength and fitness: Playing squash helps you gain power and the ability to apply force. In this case, it’s applying the swing of your racquet to hit the ball as hard, fast and accurate as you can. The strength required in a game of squash will help you tone your legs, arms and abdomen while the cardio involved in the face-paced game of squash will also help maintain a healthy weight. Using your lower and upper body muscles at the same time paired with the intensity of stop-and-sprint movements can burn a ton of calories – an average of 500 calories in 30 minutes. Boosts cardiovascular health: Squash has you running, jumping, leaping, and diving for the ball so your heart and lungs are working at peak efficiency. An intense game of squash will keep your heart rate up at all times, making your heart muscle stronger as more blood pumps to the brain and the rest of your body. This boost endurance and stamina as more oxygen is supplied to the muscles. Coaches social skills – Because you need at least one other person to play squash, many squash centers and clubs offer friendly tournaments and games to ensure that those who are interested in squash have someone to play with, allowing squash players to meet and compete with one another. Gyms and clubs have a friendly environment which can provide players opportunity to make new friends. Improves self-confidence – After a game of squash, players develop a sense of accomplishment and confidence, regardless of whether or not you won the game. Knowing one has competed to the best of their physical ability – especially in a game so intense as squash – enables a boost in self-esteem and a feeling of sureness characterized by certainty of ability. Ensures mental well-being – If you are a beginner at squash, your practice is 95% physical and 5% mental. Once physical conditioning is improved, practice becomes 95% mental and 5% physical. Instead of focusing on catching your breath and not missing the ball, you can now focus on game strategy. Concentrating on the ball, your opponent and your surroundings will boost your mental alertness and spatial awareness. Alleviates stress – Squash acts as a wonderful stress reliever, especially after a particularly demanding day. If your’re feeling angry or frustrated about work, home life or whatever else is grinding your gears, a round of squash can help you “squash out” those negative feelings by taking out all your anger on the court as you slam the ball as hard as you can against the wall. What comes next is a feeling of satisfaction and relief as your negative energy is used up for physical energy in the game.